The arrest of a Hmong St. Paul police officer is the latest development in an investigation into several incidents of violence involving Hmong and Lao residents. Federal law enforcement officials are trying to determine how several recent shootings and arson fires are linked. Some in the Hmong community suspect the perpetrators are motivated by political divisions formed many years ago in Laos. 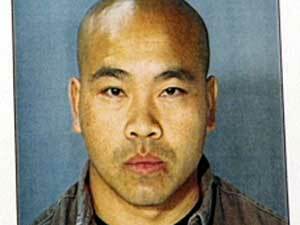 St. Paul, Minn. — St. Paul Police officials believe that in November 2003, officer Tou Cha fired his weapon into the windows of several Asian-American businesses located in a mall on Milton street in St. Paul. And they believe that last month Cha fired five bullets into the home of a Hmong family in Maplewood. Cha was arrested for aggravated assault with a firearm Monday night after his shift ended. Police Chief William Finney says investigators received a tip that officer Cha was involved. "We found shell casings at a couple of the shooting scenes, and we had those reviewed by the Bureau of Criminal Apprehensions," says Finney. "We received the information that those shell casings had been analyzed and we seized the weapon of the police officer, and matched that against the shell casings found at the crime scene." Cha, 35, is an 11-year veteran of the St. Paul police force. He has been accused of using excessive force in three previous incidents. Two years ago he was accused of violently subduing a junior high student. Cha also recently accompanied Mayor Randy Kelly to Thailand in preparation for a wave of new Hmong immigrants scheduled to come to Minnesota later this year. Ilean Her is the Executive Director of the Council on Asian-Pacific Minnesotans. She was also a part of the delegation to Thailand and got a chance to meet Cha. "From what my impressions of him was, wow, here's a young man who's very nice," says Her. "Charming." Her says Cha was on the trip as a representative of the police department. His mission was to help find ways the police department could acquaint new arrivals with the American justice system. She says Cha's arrest is a shock to many Hmong who saw him as a hero and role model. Her says people are also surprised because of the political circumstances surrounding the crimes he's accused of. "If these actions are targeting a political audience, then they're surprised he's behind it because he's never been politically active within the community," says Her. The talk of political conflict comes from the fact that most of the victims of the recent violent incidents have been supporters of General Vang Pao, a prominent leader in the Hmong community. Earlier this year suspected arson fires were set at the home of the general's son. Another fire was started at the Lao Family Center, an organization created by the general. Investigators have not linked Cha to the fires. "It is surprising me," says Xang Vang, the interpreter for General Vang Pao. Xang Vang lives in the Maplewood house that officer Cha is suspected of shooting. Vang says he met Cha a week before the shooting and exchanged pleasantries with him. A veteran of the CIA's secret war against communist forces in Laos, Vang has a theory about the motive behind the shooting. "I believe two things. One -- he give his gun to somebody who will share with him a big prize from Communist hands. Two -- he did it and received big dollars from the Communists," says Vang. Supporters of the general are ardently anti-communist. They've been angered by proposals to grant normal trade relations with the communist government of Laos. Police Chief Finney made an appeal to Hmong residents to help police get to the bottom of the latest crime spree. He especially wanted to assure them that their identities would be kept secret and they would not need to fear reprisals. Finney didn't appear to buy into theories of communist agents terrorizing St. Paul residents. He just wants it to end. "We certainly aren't investigating crimes from Laos, we're investigating what occurs on the streets of Minnesota," says Finney. Cha is in custody and is expected to be formally charged by a Ramsey County Judge Wednesday. A police federation representative says a federation lawyer was sent to meet with Cha. But they say it's not clear if that lawyer will represent Cha or if Cha will hire his own lawyer. Cha has been suspended with pay.